There weren't many penguins. It was spring there and things were warming up. We were lucky to see any penguins at all! 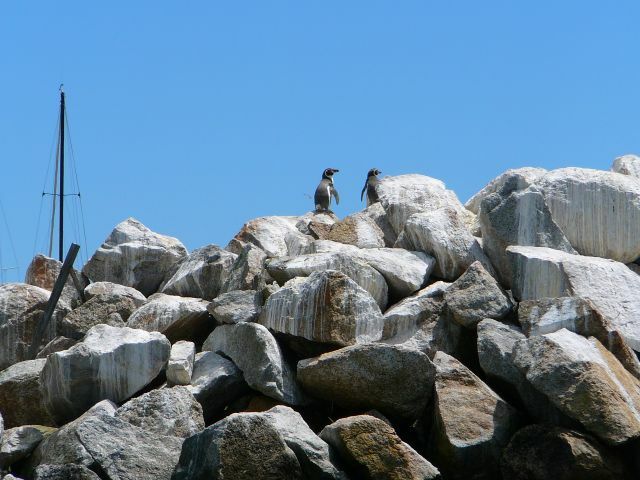 I got some other penguin pictures, but these two little mountain climbers were my favorites.